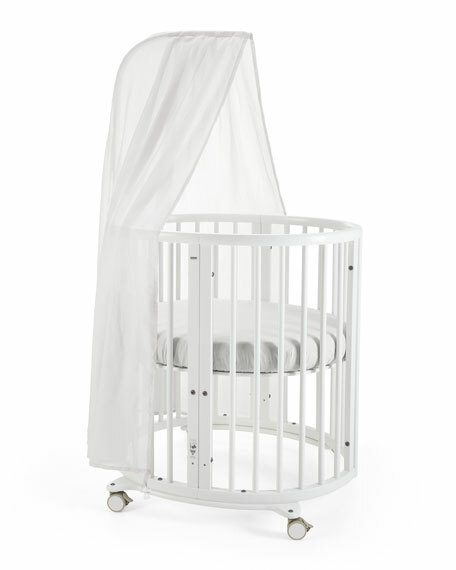 The Stokke® Sleepi canopy is designed to complement the Stokke® Sleepi Mini system. The canopy gives a cozy and warm feeling to your nursery. 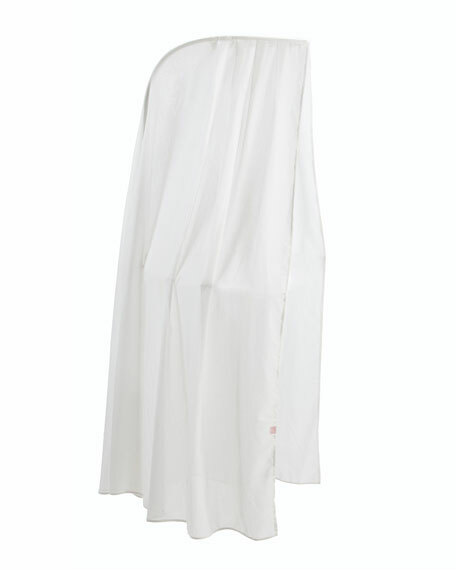 Keeps light out and creates a comfortable sleeping environment for your newborn baby. Please note: The canopy is a fabric drape. The Stokke® Sleepi Mini Crib, which includes the wood canopy rod, is sold separately. Upholstered armchairs. Set of 2; each, 24"W x 26"D x 40"T. Seat, 22"W x 18"D x 19"T; arms, 25.75"T. Quartered ash solids and veneers; polyester/acrylic upholstery. Mortise-and-tenon frame construction. Assembly required. Imported. Boxed weight, approximately 68 lbs. Bed has wood-framed headboard and footboard. Polyester upholstery on headboard, footboard, and rails. Bright-nickel nailhead trim on headboard and footboard. Bed has wood-framed headboard and footboard. Polyester upholstery on headboard, footboard, and rails. Bright-nickel nailhead trim on headboard and footboard. 84"W x 89"L x 70"T. Mortise-and-tenon frame construction. Three-slat support system with adjustable center supports. Assembly required. Imported. Boxed weight, approximately 291 lbs. EXCLUSIVELY AT NEIMAN MARCUS Alder frame. Polyester/rayon velvet upholstery. Comes with seven self-fabric pillows. Chaise on left as you face the sofa. Sofa, 119"W x 41"D x 35"T; chaise, 96"L; seat, 19.5"T. Handcrafted in the USA of imported materials. Boxed weight, approximately 415 lbs. Handcrafted velvet chair. Antiqued gold nail head trim. ... Alder wood frame; stapled and glued. Arm height: 23"T. 29"W x 29"D x 38"T. Made in the USA of imported materials. Boxed weight, approximately 48 lbs.